I am old enough to remember when roads in rural Kewaunee County, WI still were dirt and gravel (with an occasional layer of oil). As a child visiting from the city, I found the roads to be novel and fun. I have fond memories of biking with my cousins, braking fast, and having spectacular wipeouts that sometimes landed us in the ditch. The roads were eventually paved allowing for easier movement of bikes. Today, some of the remaining gravel roads are designated and preserved as “Rustic Roads” by the Wisconsin Department of Transportation. Roads in the United States during the 20th-century were “rustic” and severely lacking, both in the actual number of roads connecting rural and urban areas and in their condition. Many were dirt, gravel, or stone, and often impassable, especially after heavy rain. Roads needed to be harder, smoother, and more impervious to water. Creating new roads as well as improving and maintaining those already in existence was technologically and financially challenging. 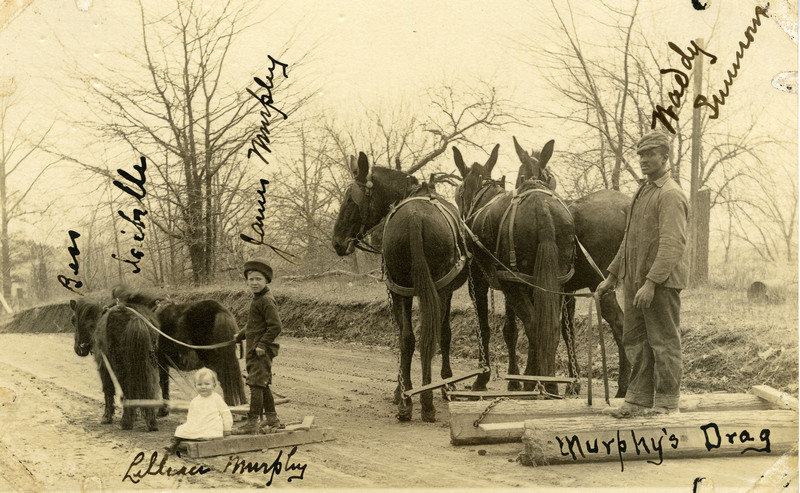 One Midwest farmer from Maitland, MO, David Ward King (1857-1920), came to see rural roads as significant for commerce, mail delivery, and linking individuals and communities to the wider world. King also saw road improvement as a technological problem that he could make a small contribution to solving. 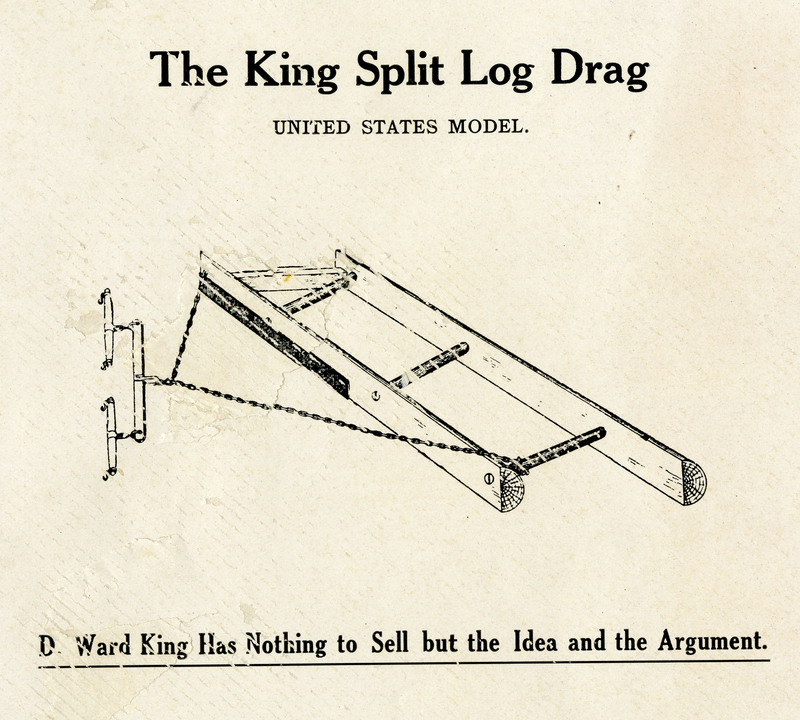 King invented the King Road Drag (US Patent 884,497 and US Patent 1,102,671) in 1908 and later improved it in 1914. The United States Patent Office called his invention a “Road Grader,” but King referred to it as a “split log drag,” the “King Road Drag,” and, in later years, the “King Method of Road Work.” The invention was simple in construction. So simple, that anyone could easily build and use one. King patented his idea, but he never enforced the patent. The split log drag consisted of parallel “scrapers” or wooden rails, approximately three feet apart. When pulled along a dirt road by a team of horses, it smoothed out bumps and ruts, killed weeds, and compacted the soil. Dragging, also created a ridge in the center of the road which caused rain to run off to the ditch. 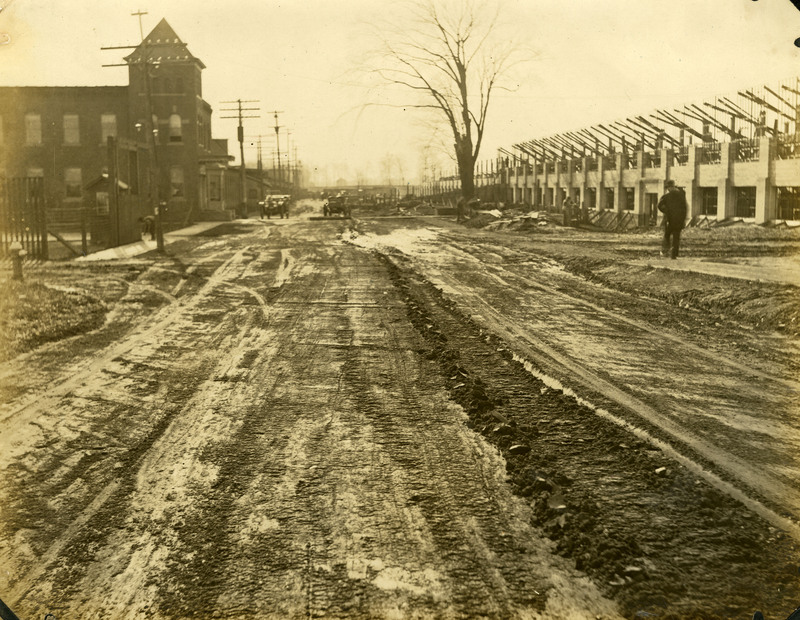 This quick and inexpensive method for keeping roads dry and firm made economic sense. The early Good Roads Movement (1890-1905), was made up of farmers, the US Post Office, and the League of American Wheelmen (bicyclists) who advocated for better farm-to-market roads. Responding to the demands, the government established the Office of Road Inquiry in the Department of Agriculture to persuade rural residents that good roads were key to a better life. The Good Roads Movement would have an enduring impact on the mobility of citizens and on future legislation. The significant Federal Aid Road Act of 1916 and the Federal Aid Highway Act of 1956, popularly known as the National Interstate and Defense Highways, were direct results of the movement. King joined the Good Roads Movement century, calling himself the “Knight of Good Roads” or “Evangelist of Good Roads.” Travelling across the United States, he preached his message of “good roads without significant cost.” At organized “King Meetings,” for which he was paid a fee, he discussed how to build and use his split log drag. So influential was King’s split log drag that it inspired a poem for the Western Mutual Life Insurance Company of Council Bluffs, Iowa. 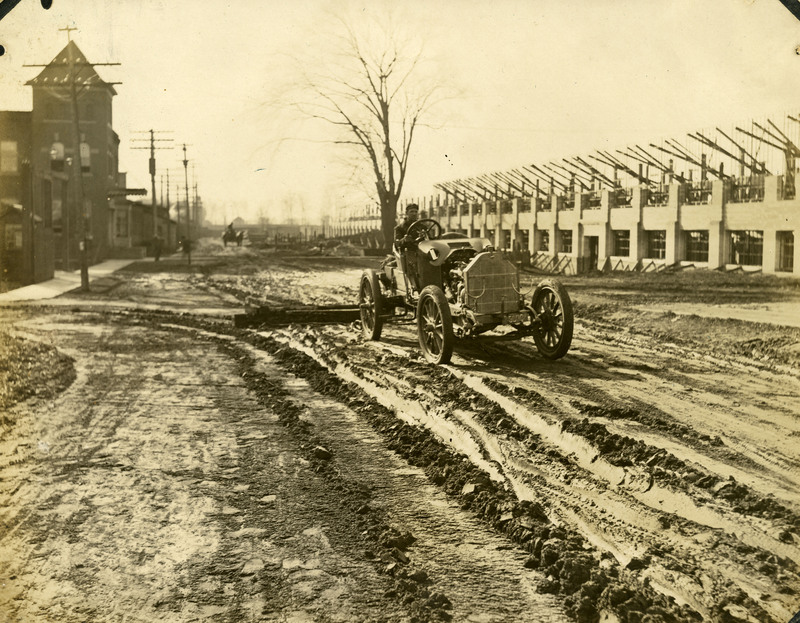 Written by Eulalie Andreas of Davenport, Iowa, the poem was intended to stimulate interest in his drag and make companies realize that good roads help business everywhere. Oh! Here’s to the Man with the Drag and a team! And here’s to the genius who tho’t of the scheme! And glory to him who invented it too. “Good roads” he pleads, “Good roads” is his cry. He gives us a method direct as a saw. For good of mankind he is giving it free. You’ll find it a wonderful blessing to man. And sitting on barrels the things is discussed. He thinks he can josh us-but not much he can! And soon of his roadway he justly can brag. To the man with Drag all honor is due! And glory to him who invented it too! So here’s to the man who discovered the way! And here’s to the farmer who works it, TODAY! And, in the August 26, 1909, Progressive Farmer, it was noted that Iowa enacted a drag law in 1906, making use of King’s drag mandatory on unpaved streets and country roads. The King drag habit made roads passable and was embraced by the people of Iowa, Idaho, and other rural states. “Let’s drag the roads and not let the roads drag.” (Idaho Statesman, April 14, 1914). Photograph, James and Lillian Murphy and Waddy Summer, using a drag, Martin, Tennessee, undated. (AC1332-0000003). To learn more about the D. Ward King Road Grader Collection and other invention stories, visit the Archives Center. King, David Ward. “ABC’s of Road Dragging,” Missouri State Board of Agriculture Monthly Bulletin, Vol. III, August 1903. Seely, Bruce. Building the American Highway System, Engineers as Policy Makers. Philadelphia: Temple University Press, 1987. Wells, Christopher W. “The Changing Nature of County Roads: Farmers, Reformers, and the Shifting Use of Rural Space, 1880-1905, Agricultural History Society, Vol. 80, No.2 (Spring 2006), pp. 143-166. Bridges are engineering marvels and each bridge tells a story—its successes and failures. Many of those stories can be found in our Archives Center.